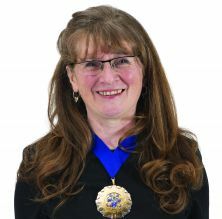 Carolyn Griffiths, President of Institution of Mechanical Engineers, will be giving the first Athena SW AN lecture for the School of Mathematics, Computer Science and Engineering at City, University of London. The Athena SWAN lecture series is dedicated to showcasing the experiences of successful and inspiring female leaders. Carolyn will give a brief overview of her work and the changes she brought about during the various roles that have comprised her career including her last post as the Chief Inspector Rail Accident Investigation Branch UK. She will then discuss some of the issues connected with Diversity and Inclusion; in particular the 'gender agenda'. A key figure within the rail industry, Carolyn Griffiths has worked on various projects both in the UK and overseas. She has been involved in operations, manufacturing, consultancy and regulatory work connected with the industry's privatisation. Carolyn's full bio can be found here. Light refreshments will be available from 12:45pm.